If we look at the Datepicker, it is just a like a table with set of rows and columns.To select a date ,we just have to navigate to the cell where our desired date is present. Here is a sample code on how to pick a 13th date from the next month. Remove the below lines at the end of code . They are just typo. i am not able to select the date from the date picker , i tested this in firefox, i guess the problems is in the forloop, could you please have a look at it. 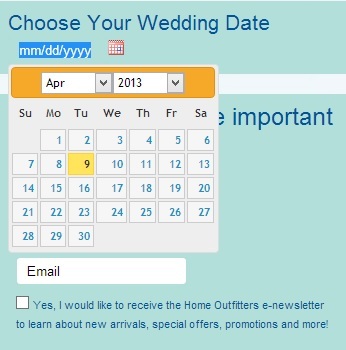 Now I have added wait after we click on "date picker edit box" . Now it is working fine. For loop code is fine. Run the code and if it still fails please send your error console details. Hi Vamshi ,is there a possible way to set the download path in chrome as i am automating a test case in which i have to download a file and then open it to verify it's contents. I couldn't find a way to do it programmatically. But manually if you set the download path in your default browser(one time) then the same will be carried forward to the browser that is going to be invoked by webdriver. So it will still works. Hi Vamshi, i found a way to download the file to local directory and then view it on browser programmatically (applicable for notepad,html file and images,not for secure pdf and doc),can i post it in your site or do i send it to u ,others might get help from it. and thanks for the reply. The one which i am working is not an text box, its read only box, how do i automate? Even iQuery has readonly text box here. I hope above example code works for you . The datepicker is displayed, but not selecting the date, i.e not entering the for loop. Can you send the console error message you are getting please ? I tried and code is working fine for me. can u tell me about Selecting a date from Bootstrap Datepicker in asp.net using Selenium WebDriver ??? Code runs Perfect...! but not able to understand y u close web element tag ...? "rows" element is not required here. I am trying to delete it but couldn't , it is keep getting appended. And y u close web element tag ...? Above statement is added by the plugin. I didnot add it. I tried to delete it but couldnot.